v3kt makes it very easy to animate vector mixes/synthesis, dynamic quadraphonic panning, or automate distribution of a signal through quad high-quality VCA channels. With easy operation and dedicated CV logic outs that can be fed back into your patch, it is truly an instantly inspirational piece of kit! • Upgrade your joystick to a multi-function vector processor/controller! • Create quadraphonic signal panning for surround performances. • Distribute a signal to 4 separate effects (distortions, delays, filters, etc.) at dynamic levels. • Combine various sources (synth voices, drum machines, radio, samples, spoken word, etc. ), to create experimental morphing mixes. • Blend 4 oscillator waveform outputs to reproduce vintage vector synthesis techniques. • Use as a CV re-distribution continuous logic center to re-imagine your existing CV sources. 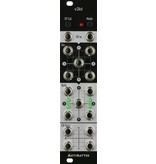 • Utilize multiple inputs and outputs simultaneously in all modes to create complex, interactive patches. • Use CV outs with VCAs or a VC mixer to create a parallel vector mix or distribution/pan! 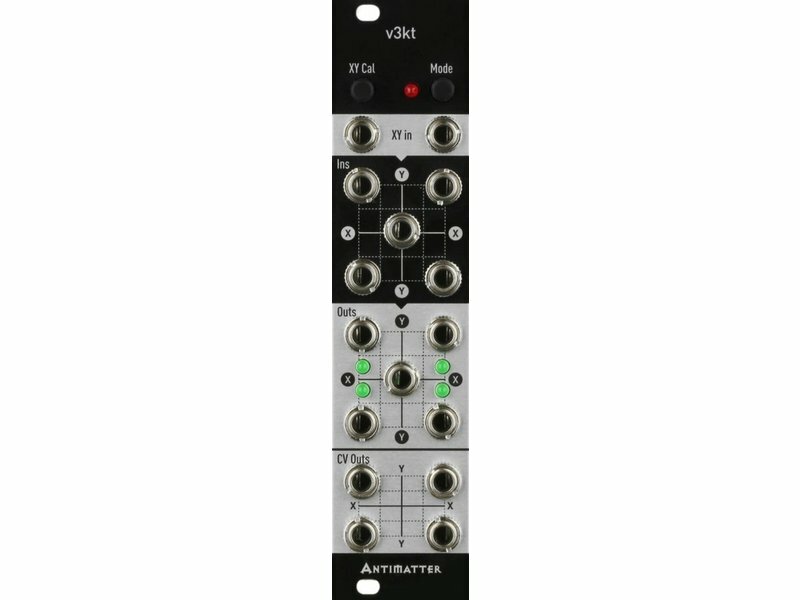 • 8 internal high-quality VCAs + amps for a clean signal path.